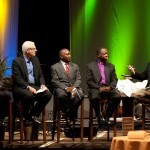 Evangelical Covenant Church (ECC) president, Gary Walter introduced CovKids Congo to attendees of the 2012 Midwinter Conference in Chicago on February 3. 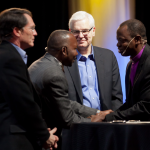 He was joined by ECC director of Mission Mobilization and Connection, Karen Hallberg; World Vision U.S. president, Richard Stearns; World Vision Congo president, Robert Kishyula; and the Congo Covenant Church (CEUM) out-going president, Mossai Sanguma. 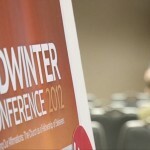 This video shows the highlights of the Midwinter Conference that was held in Chicago, Illinois, from January 30 – February 3, 2012. Gary Walter, president of the Evangelical Covenant Church, preaches Friday morning during the 2012 Covenant Midwinter Conference in Chicago, Illinois.